Happy first day of March! Let's start the month off right by treating yo' self because we're already two months into 2017 and frankly, we all deserve it! Earlier last month, Pink Pedi opened their doors, and we could NOT be more excited to share this new salon with y'all today. 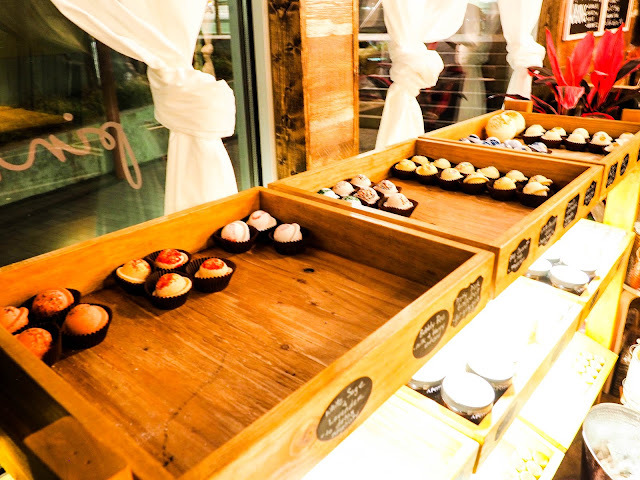 Pink Pedi is an eco-friendly, fume and toxin-free salon, where you can pamper yourself without compromising your health. 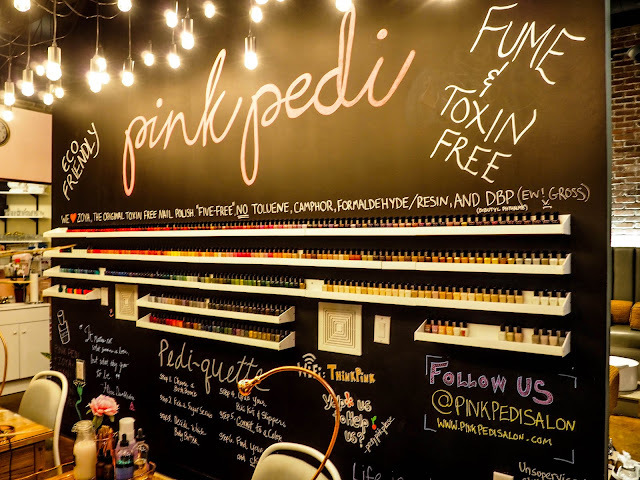 The first thing we noticed when we walked into Pink Pedi was how clean and refreshing the shop smelled. The air didn't seem polluted and pungent like a typical nail salon, and that's exactly that. 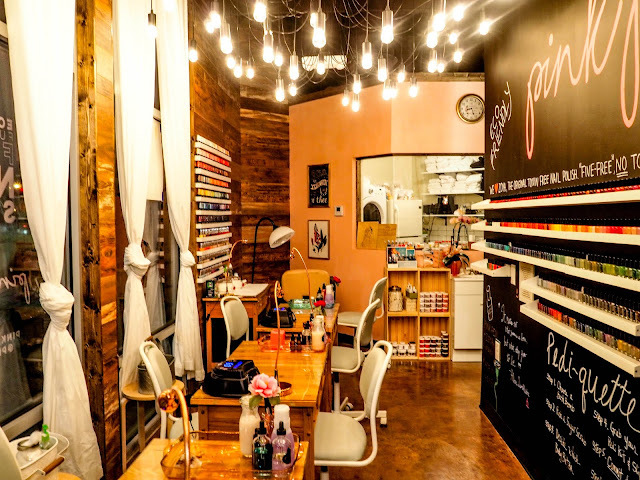 Pink pedi is not your typical nail salon, so keep scrolling and take a peek into the newest, hippest salon in Dallas! 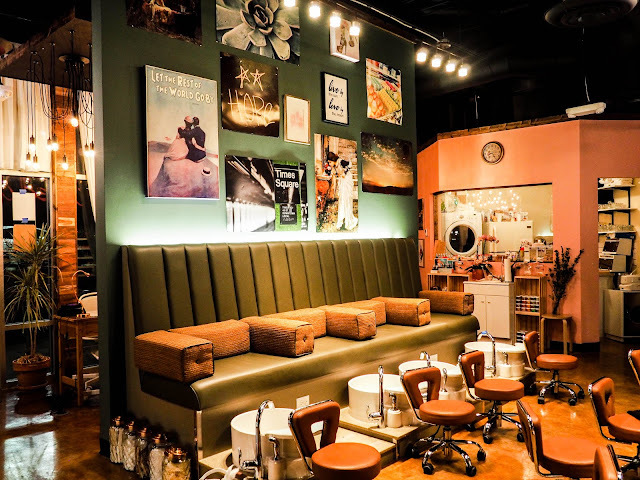 The salon carries Zoya nail polish, the original toxin-free polish, made without any of the five chemicals you'd normally find in nail polish. And yes, they have the entire Zoya collection - literally any color you can think of. As you enter, you'll pick your mani and/or pedi package then do some shopping! 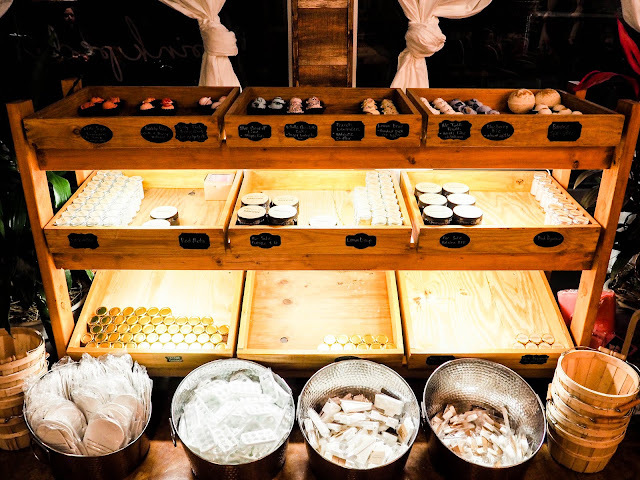 During our visit, we got the Pretty With Pink package (aka the perfect pick-me-up treat for your feet), and with this package, we got to pick one of their house-made bath bombs, sugar scrubs, and body butters in one of their delicious scents! After a soak, groom, and massage, our nails were perfectly polished by some of the most talented and fun nail technicians. It is true what they say, "Beauty shouldn't come at a price," when it comes to your wallet and your health. Walking out of Pink Pedi, I didn't feel as if I had just inhaled a bunch of toxic air. All in all, we enjoyed every minute of our time at Pink Pedi. It's a great place to come with your girlfriends, moms, and/or daughters. Click here to view their full list of services and to book an appointment today. Remember y'all, treat yo' self today! Thank you Pink Pedi for the complimentary spa treatment! As always, all thoughts and opinions are our own.